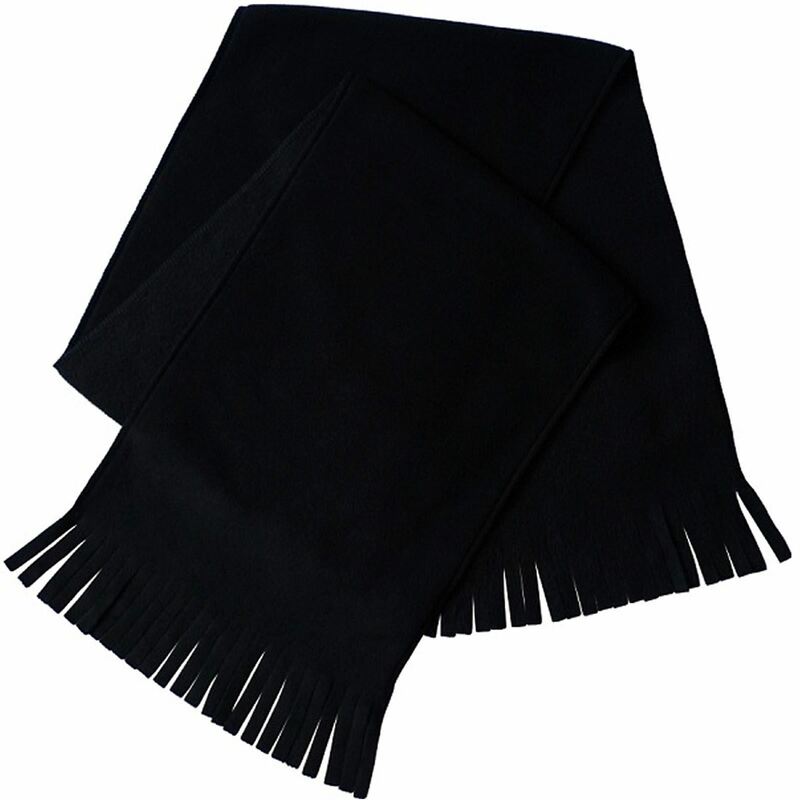 HomeFAQ’sFeedbackBookmark UsContact Us Browse our Store300 Wholesale Warm Soft & Cosy Black Fleece Scarf with TasslesDescriptionWarm Fleece scarf, each one comes individualy packed on a hnger with a swing ticket Material; 100% Polyester Colour; Black Size; 165x30cm approx (Tassles 9cm each)About UsWelcome to Adore Home.We are a UK company that provides our customers with the best products at the lowest prices. Adore Home is your one-stop shopping destination for all your household and holiday needs. Everything is in stock in our UK warehouse for a fast and efficient service.PaymentWe accept PayPal as the main method of payment. We also accept direct bank transfer. Contact us for further details.ShippingWe dispatch all orders within 1 working day of payment, where orders are received before 1.30pm Mon-Fri, orders will be dispatched the same day.Our standard postal method for UK delivery is Royal Mail 2nd class with an estimated delivery of 2-7 working days, where the 1st class option is selected the estimated delivery time is 1-3 working days. As soon as your order is marked for dispatch you will be sent an email confirmation.All European orders will be sent by Royal Mail Airmail with an estimated delivery time of 7-14 working days and for the rest of the world 7-21 working days.Where an order is not received please check with your local post office before contacting us as your item will be held there for up to two weeks for collection if you were not in at the time of delivery.Please note we have to allow 14 working days for delivery inside the UK and 28 working days for deliveries outside of the UK before we are able to investigate non delivery.ReturnsYou do not need to contact us first should you wish to exchange an item. You can exchange the item within 14 days of receipt. All details can be included on your invoice. We will despatch the exchange at no extra but it is your responsibility to pay for the return costs. We will process the return the same day and aim to despatch any exchanges within 1 working day. For any items that are not longer in stock, we will offer you an alternative or refund you the purchase price. You retain the right to cancel the purchase within 14 days after you have received the item. If you are not happy with your items for any reason, simply click the return button and follow the instructions. This does not affect your statutory rights. Please note you do notneed to contact us first. You will be refunded of merchant value of the item once the returned item is received. Please note that return postage is the buyer’s responsibility. -We do not accept any parcels sent for collection. -We assume no liability for the returns sent by you and then lost in the Post Office. We advise you to obtain proof of postage.ContactOn the rare occasion where you will need to contact us, we are here and happy to help. Please contact us via eBay for a quick and helpful solution. Our dedicated customer service team is there to respond to all your queries. We respond to all ebay messages within 24 hours.Content © Copyright adorehome. All rights reserved.